Eleaf iCare Solo Starter Kit is flagship miniature all-in-one iCare products, leak-proof bottom design, top e-liquid filling. It has five colors to choose from, is a good choice for beginners. 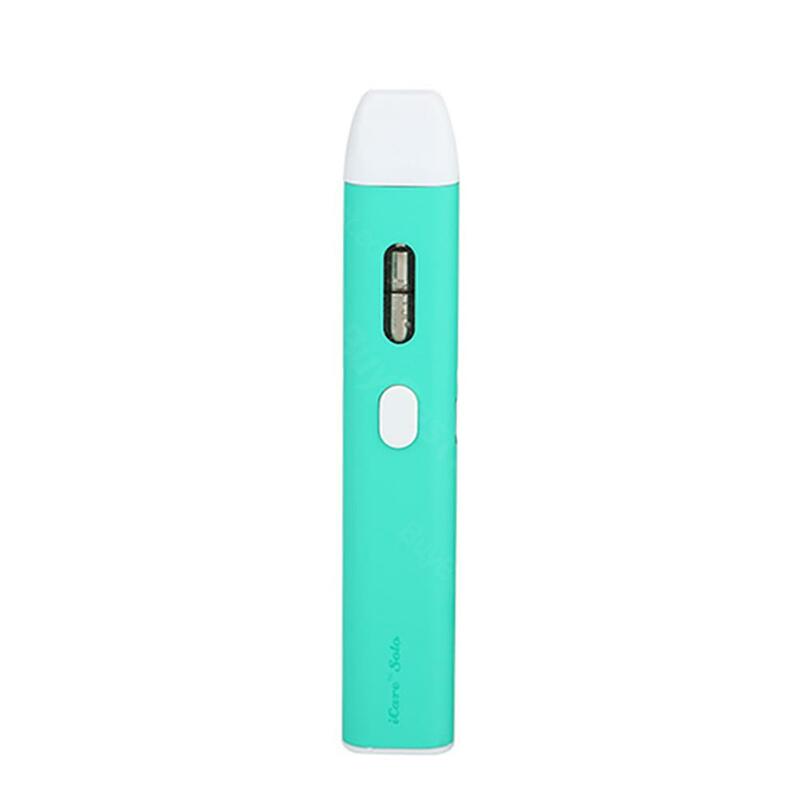 The Eleaf iCare Solo Starter Kit, another member of the iCare product, is 18mm in diameter and features a built-in waterproof bottom design for inhalation breathing using an IC 1.1 ohm head. It is small in size, easy to carry and easy to use. Top electronic liquid filling design allows you to easily refill the liquid smoke. The iCare Solo is not just for beginners, The iCare Solo's performance is deeply satisfying, especially when paired with nicotine salts (which can be vaped at higher strength) iCare solo not only has a stylish look, you can also have five colors to choose from. • Please check Guarantee Policy. • Guarantee period: 3 months for the iCare Solo. Hello, ordered icare solo instead of cigarettes. The goods came quickly to arkhangelsk region for 12 days delivery singapore post. The product came charged, charging enough for a little while with intensive steaming, but it is quickly charged in 20 ~ minutes. The goods checked for originality, passed. The seller is sociable, as a gift put a coupon for 8 dollars from the site buybest. Included wire for charging, two evaporators, instructions in russian, the device is like, i advise this seller, because it has all the colors in stock and fast delivery. Good quality design, low price, good service. iCare Solo is pretty sweet. I love the flat shape drip tip and the slick body looking. 1.1ml capacity of juice is just fine to taste a flavor. I own a iCare Solo before. Good product. The coil taste good flavor and the battery last long. I got my parcel very soon. This shop has excellent service. I like the stylish and performance of this little machine. I've tried other starter kits of Eleaf. This one is better. Good flavor and a lot of clouds. Love it. I placed my order a week before and it came super fast. I have tried it for a day. It performs well so far.